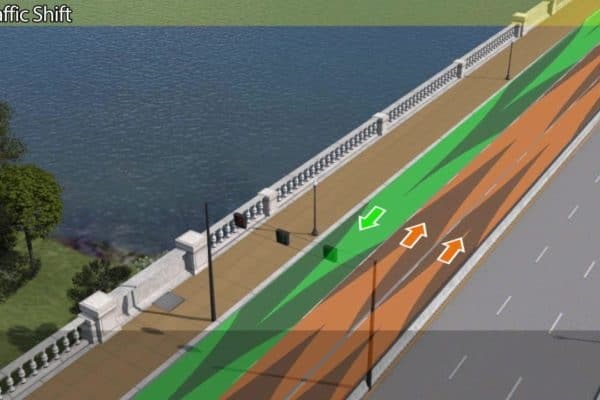 Starting Monday, October 15, 2018 the National Park Service (NPS) will begin a new long-term change to the traffic pattern on Arlington Memorial Bridge. 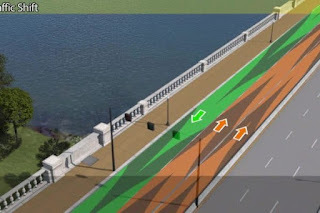 This change will reduce the bridge’s capacity from six to three lanes and one sidewalk until the rehabilitation is finished in 2021. Slug-drivers and carpools commuting to destinations north of Constitution Avenue use the Arlington Memorial Bridge to avoid 14th street bridge traffic. With the reversible lanes, peak hour traffic will loose only one third of the capacity, but reduced speed at the construction zone may cause delays. In addition, the Pentagon Pork Chop, Eads road and 395 express lanes construction commuters should expect traffic backups inside beltway. VDoT and VA State Police should consider enforcing HOV restrictions north of Eads road to help I-395 HOV and Bus traffic going into DC. For the next two years, there will be one constant eastbound and one constant westbound lane with a reversible third lane to accommodate rush hour traffic. Monday through Friday, the reversible lane will run eastbound (into D.C.) from 4 a.m. to noon and westbound (toward Va.) from noon through the overnight hours until 4 a.m. On Saturdays, Sundays and federal government holidays, two lanes will always run eastbound and one lane will always run westbound. Drivers should watch the overhead signals on the bridge to know which lanes are open for travel in their direction.